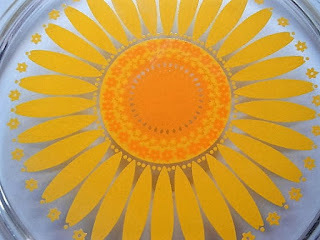 Sunflowers are so bright and colorful just like in the bowl from SCTreasureHunt. 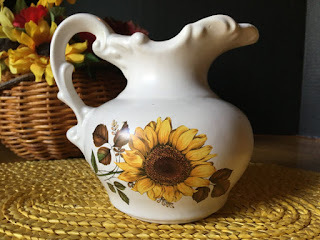 I really like this sunflower pitcher from JustClickThreeTimes. Wouldn't it make a great vase for some real sunflowers or you could use silk sunflowers also. 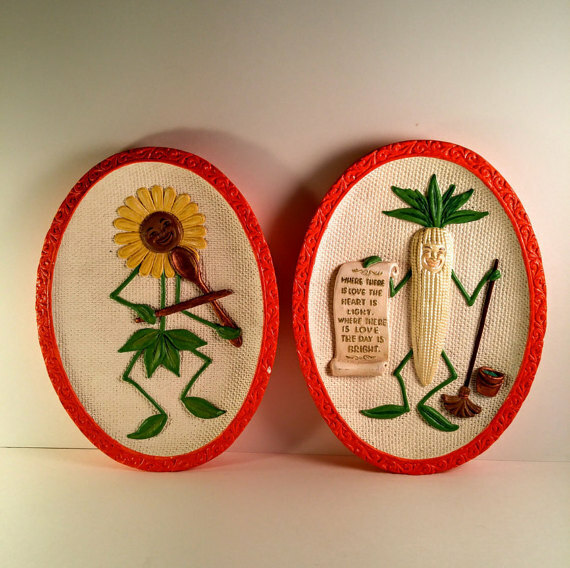 Do you like vintage jewelry? 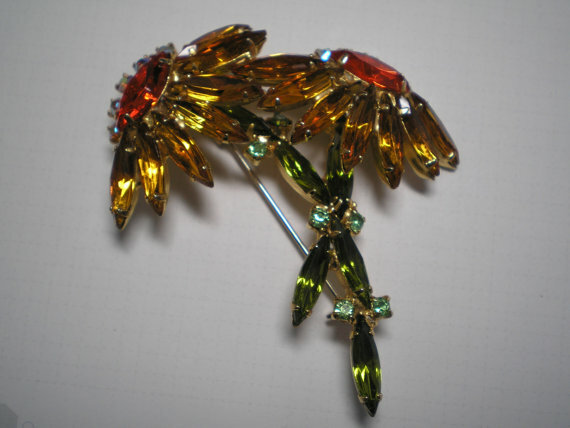 If so, this brooch from Cleoras is really nice. 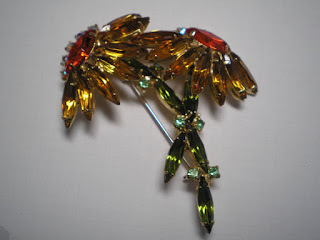 I really like the colors on this brooch.